In Parkinson disease, dopamine production becomes irregular and inadequate and nerve cells cannot properly transmit messages. This results in the loss of muscle function. 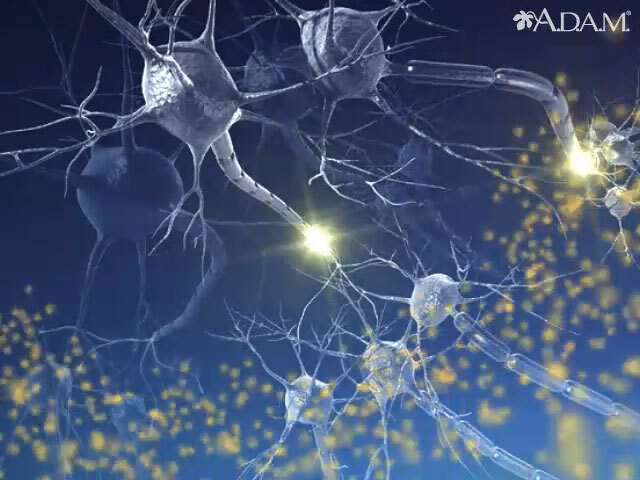 By providing an even, adequate supply of medication that the body converts into dopamine, neurons are able to transmit messages and tremors improve.